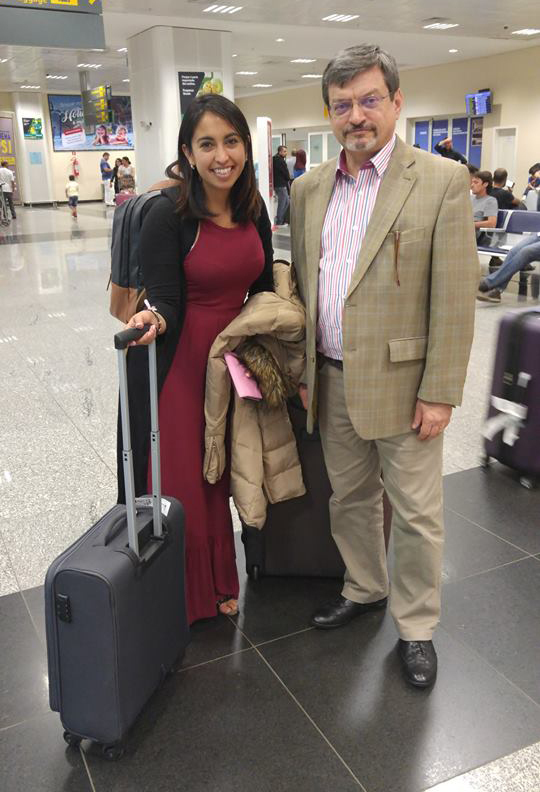 Lani Anaya is an international intern for Global Peace Foundation (GPF) contributing her passion and expertise in peacebuilding processes for GPF Brazil. Originally from Mexico, Lani is studying for a Masters in Peace and Conflict Studies at Uppsala University in Sweden. Her research highlights youth and women actors in peacebuilding processes, including conflict prevention, non-violence communication, mediation, the arts as a tool for peacebuilding and interfaith dialogue, a passion inspired by her work with youth and music at her local Methodist church. Lani first learned about GPF in 2016 when a visit to a friend at Seattle’s University of Washington chanced a meeting with young leaders from Global Peace Youth, the youth division of GPF. Inspired, Lani began her Peace and Conflict Internship with GPF Brazil in 2017. A great option, GPF Brazil features local youth capacity-building for preventing violence and promoting justice, the AJUDE (Legal Assistance for Development and Education) project, social pacification through VIVER CIDADE and CEPAZ, social reintegration of young people throughout music in LEAM (Leadership and Development by Music) project, and advocacy at the local, regional and national youth government platforms in Brazil. Service, family, and interfaith relations all come together in Lani’s passions and life perspective, not only in Mexico, but also at a global level. Besides Brazil, she has experience in volunteering with different organizations focused on AIDS recovery and women, refugees, youth and migrants around the world, including Kenya, Sweden, the USA and Mexico. Lani considers the encouragement and example of her family and faith community as the foundational support for her in following her call to serve others. Sign up for our newsletter to stay up to date on the latest our volunteers are doing in your country and around the world!